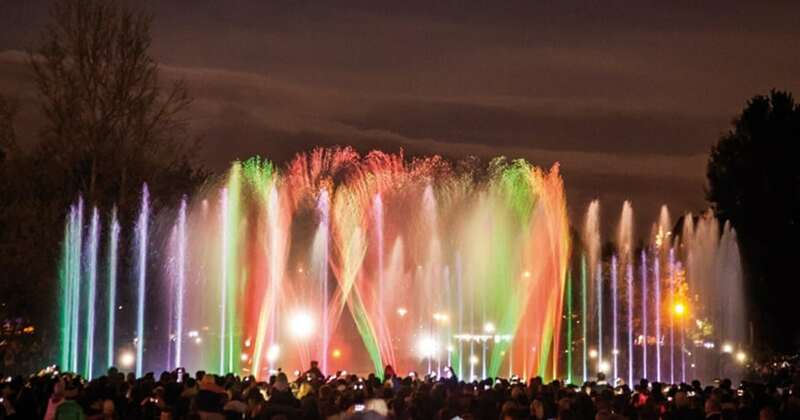 The Multimedia Fountain Park is located in “Plac Dywizji Pancernej” in Warsaw. Up to 7,925 gallons of water a minute stream out of 367 nozzles. The streams are colorfully lit with nearly 300 LED reflectors. The Multimedia Fountain Park contains two fountains: the main one, with an area of over 2 2152 square ft, and the line fountain which is 393 ft.